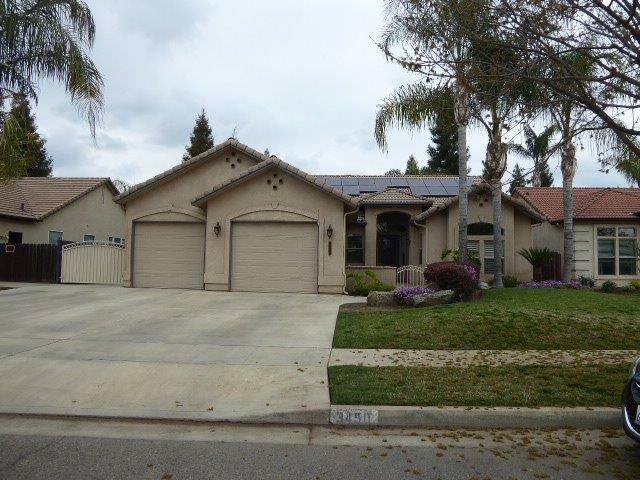 Diamond Creek Estates well maintained home inside and outside. 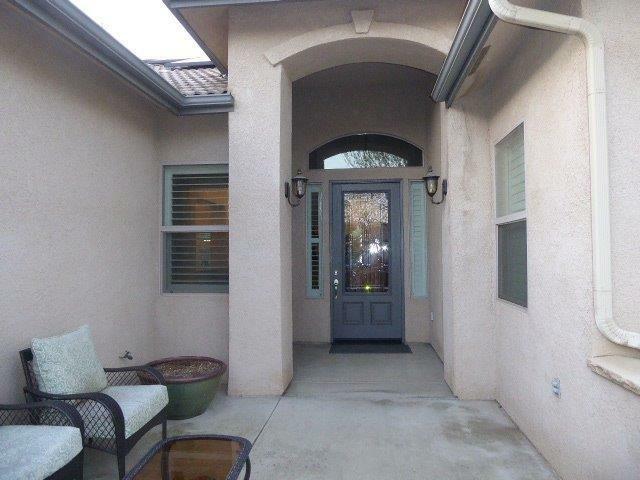 At the front door is a wonderful fenced front patio/sitting area to enjoy and greet visitors. Entering this beautiful home, walk into an elegant entry followed by open living room with 12-foot ceiling, tile flooring, floor to ceiling fireplace and custom built-ins. Formal dining room/office area, kitchen with great center work space, sink and breakfast bar. Kitchen and family dining area also has 12-foot ceilings. Individual laundry room with sink, built-in cabinets and storage plus desk. An abundance of cabinets and storage throughout the house and plantation shutters on all windows. Fenced swimming pool w/waterfall. 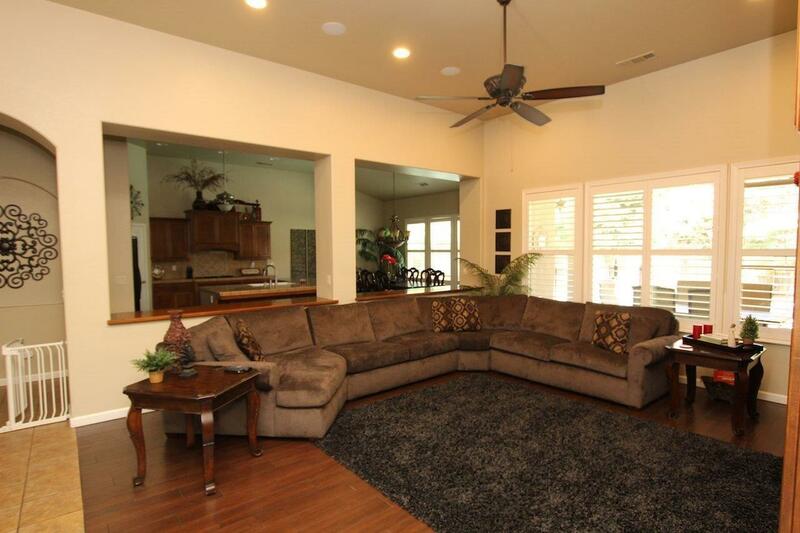 Patio under roof line with ceiling fan. RV parking has sewer drain and 220 outlets. The garage also has 220 outlet, attic storage with built-in ladder. Built-in ceiling speakers in living room and outdoor covered patio. Natural gas hook-ups for BBQ. Whole house fan. So many amenities, come see for yourself. 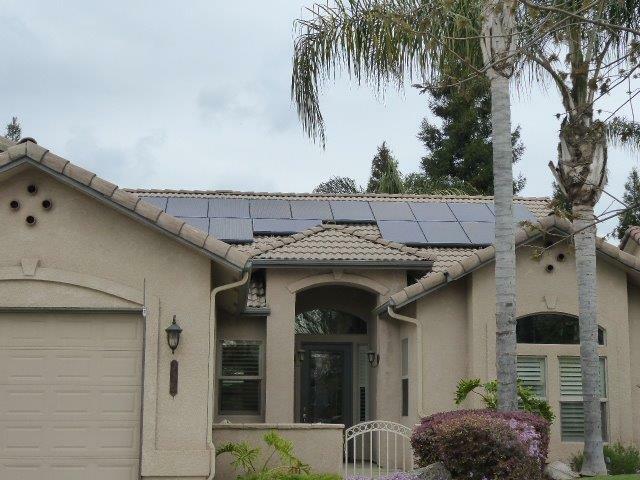 Listing provided courtesy of Richard Bird of Modern Broker, Inc.